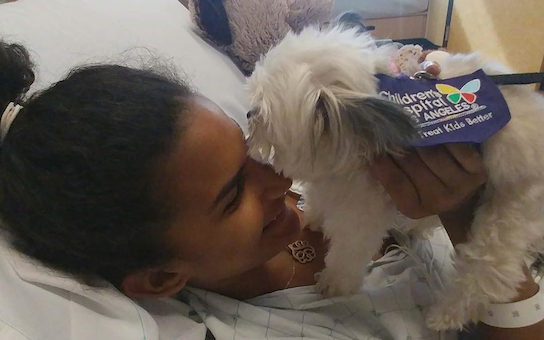 The tiniest therapy dog, ever. 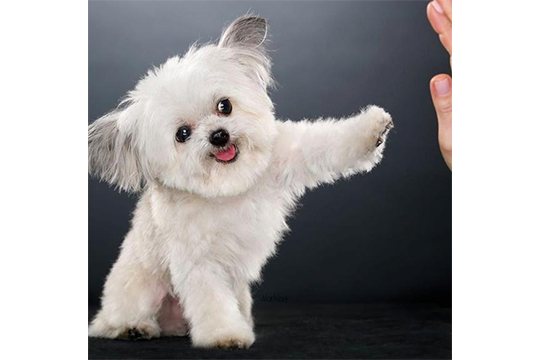 Norbert is the smallest therapy dog in the world. Welcome to Puplifting Moments, where we bring you our favorite stories about people making life better for pups - and pups making life better for people. 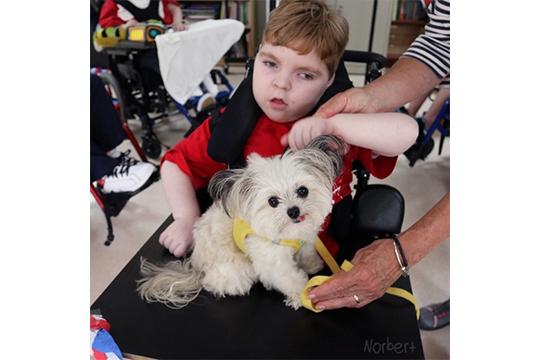 This week, we’re sharing the story of a very little therapy dog with a very big heart - Norbert! Look at this little creature. Just look at him. It may be hard to believe, but this isn’t actually an alien from Planet Floof. This a real dog and his name is Norbert. Norbert is a great many wonderful things. Just look at the way his big saucer eyes look up at you, the way his tongue just sort of hangs there, the way his fluff…fluffs. There’s no denying how unbearably cute he is. You see him and you want to SQUEEZE him, but you don't wanna accidentally squeeze him to pieces. 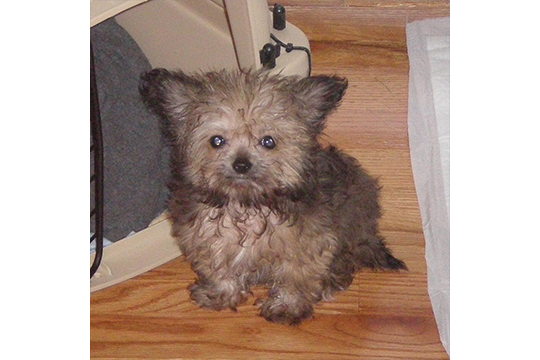 He weighs in at about three pounds - far less than the average big toe - and he’s only seven inches tall. You could probably carry him around in your pocket if you wanted to, though we wouldn’t necessarily recommend that. 3. He’s a rescue dog! In 2009, his mom, Julie Steines, fell in love with him after seeing him on Petfinder, then traveled across the country to bring him home. She immediately knew how special he was, and not just because of his unique genetic makeup (he’s a Chihuahua, Cairn Terrier, and Lhasa Apso mix, truly one of a kind). 4. He has his own stuffed animal! 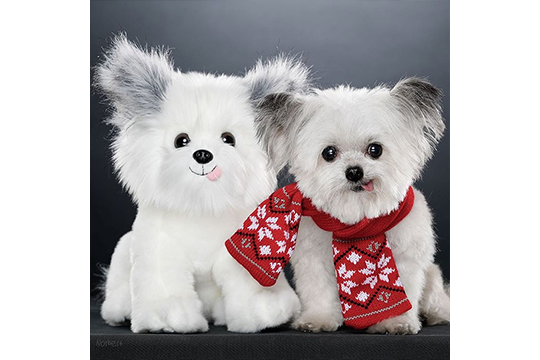 But that’s not even the best part - as part of the “Norberthood for Good” project, if you buy Norbert’s plush, a second plush will be donated to Toys for Tots and given to a child in need. 5. He’s a children’s author! Well, sort of. 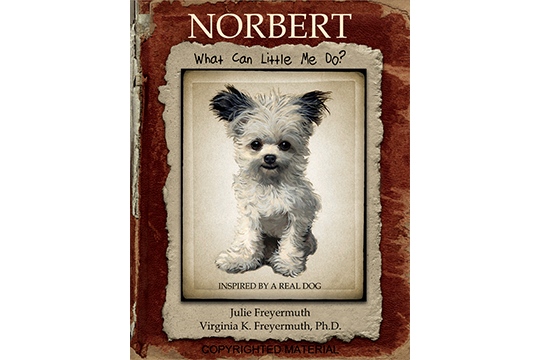 With the help of his mom (writer) and grandmother, Dr. Virginia Freyermuth (illustrator), Norbert created a beautiful picture book called Norbert: What Can Little Me Do?, which won 9 awards and kick-started a series of successful books (including one guest-starring Lil Bub the cat). 5. The most important thing about Norbert: He’s a therapy dog! That means he has a very important job to do - he brings love and relief to those who need it most, like hospital patients, students, nursing home inhabitants, and so on. Currently, Norbert volunteers at the Children’s Hospital of Los Angeles, where his tiny face, his saucer eyes, and his sideways tongue bring smiles to all who see them. If you love Norbert as much as we do, make sure to follow him on Instagram , Facebook, YouTube, and his own website, where the cute just never stops coming. If you love BarkPost email, refer your friends to us! We'll make sure to send tons of dogs to their inbox. 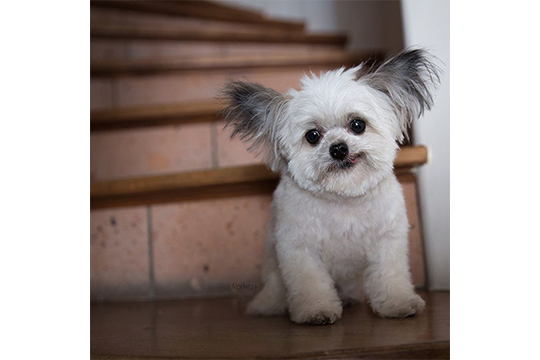 Did Norbert make you smile? Share that smile with your friends! 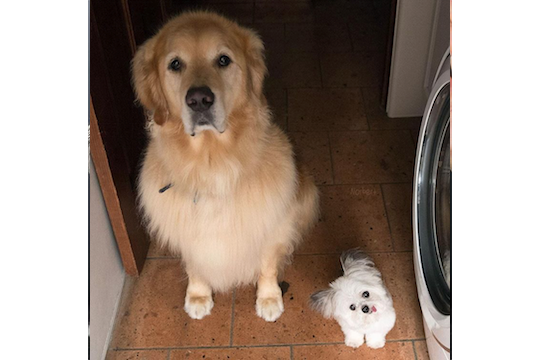 Do you have a dog that could compete with Norbert for floofiest dog ever? Send us the evidence! We'd loveeeeee to see it.